Product prices and availability are accurate as of 2019-04-05 14:33:18 EDT and are subject to change. Any price and availability information displayed on http://www.amazon.com/ at the time of purchase will apply to the purchase of this product. Say goodbye to bulky remote control modules - with On/Off Outlet, everything you need for remote control is built-in and completely invisible for a clean, elegant look. 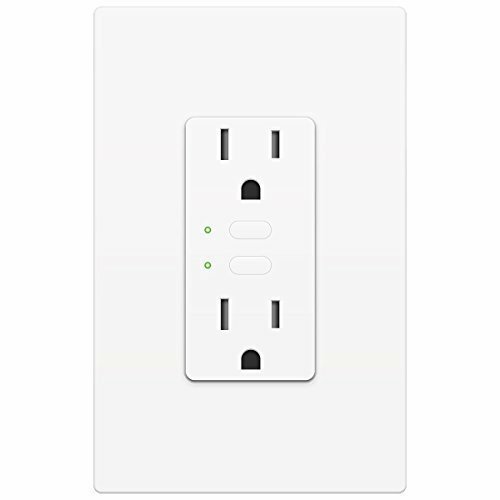 With control over both outlets, you no longer need two Insteon devices to control two lamps or appliances; both the upper and lower outlet can be independently-and remotely-controlled.